Volvo of Halifax is a Nova Scotia Volvo retailer, specializing in new Volvo vehicle sales, Volvo service, Volvo parts and accessories. 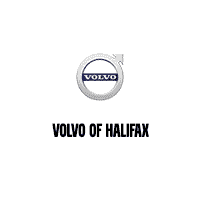 Volvo of Halifax is located in Halifax, NS and serves as your Nova Scotia Volvo Dealer. You will first appreciate our team and the willingness to satisfy you. If you are shopping for a New Volvo in our showroom, you will find the Volvo Sales staff courteous and professional. Volvo of Halifax carries the full Volvo line up including Volvo S60, Volvo XC90, Volvo XC60, Volvo XC40, Volvo V90, Volvo V90 Cross Country, Volvo V60, Volvo V60 Cross Country, and the Volvo S90. If you do not find the New Volvo of your choice, then Volvo of Halifax also carries an extensive Volvo Pre-owned inventory. Volvo Certified used cars offer a level of performance, quality, and comfort that Volvo drivers have come to expect from Volvo. Volvo of Halifax	44.6615929, -63.6093153.